Beverly Broussard Wilson was born in Houston, raised in Lafayette, and still lives there now with her husband of forty eight years, Steve Wilson. They have three children: Stephanie, Stephen and Kennon. She graduated from Lafayette High School, USL, and holds a Masters Degree in Education from LSU. 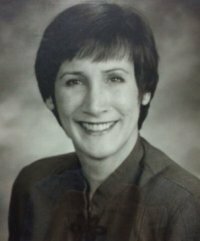 She taught school, managed and sold real estate for Cajun Realty, served twelve years on the Lafayette Parish School Board, and worked as an independent landperson until five years ago. She actively served as a volunteer and eventually as PTA President at each of the schools her three children attended. She is a member of Delta Delta Delta Alumnae, is a member and former president of the USL Alumni Association (now UL), served as an active volunteer and currently as a sustainer in the Lafayette Junior League, and is actively involved with her high school alma mater alumni (Lafayette High ’65).